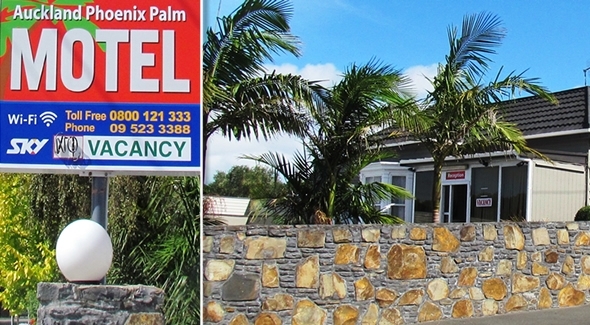 Discover the peace and quiet of busy Auckland at the Auckland Phoenix Palm Motel! A 5 minute stroll will take you to the Ellerslie Racecourse and Convention Centre, Ascot Private Hospital or Remuera's finest cafes/restaurants and boutique shopping. 3.5km drive to Broadway, Newmarket shopping centre, cafés, restaurants, an Olympic-sized pool, as well as a gymnasium. 5km drive to the heart of the CBD, Aotea Square, theatres, galleries, university, museum, Sky City, The Victoria Park Markets, Viaduct waterfront, restaurants, shops and other local attractions. Also close by are Alexandra Park Raceway, Auckland Showgrounds/Expo Centre, Greenlane and National Women's Hospitals, Cornwall Park, One Tree Hill Domain and Mt Smart Stadium.